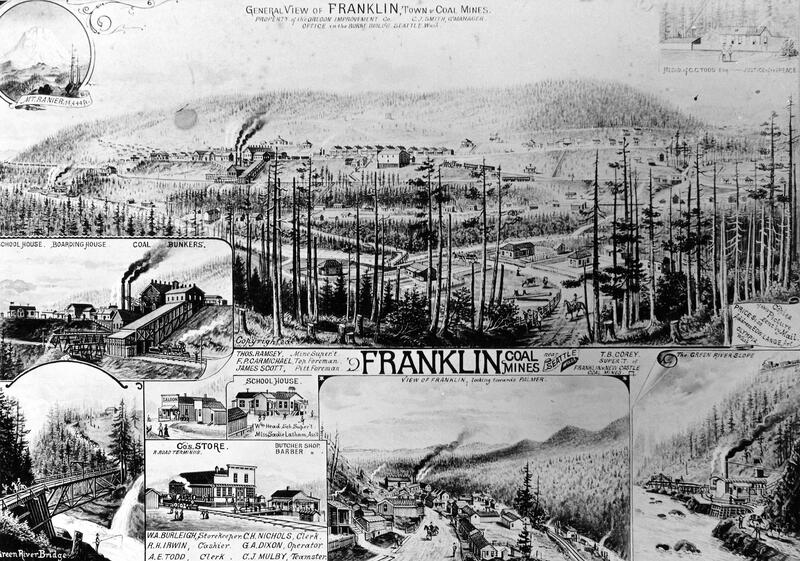 Drawing of Franklin, circa 1887. Probably the majority of the readers of the Post-Intelligencer have never inspected a coal mine or visited a town where coal mining was the exclusive industry. They have, therefore, necessarily but an imperfect knowledge of a large and very excellent class of the working population of this territory, and especially of King County. 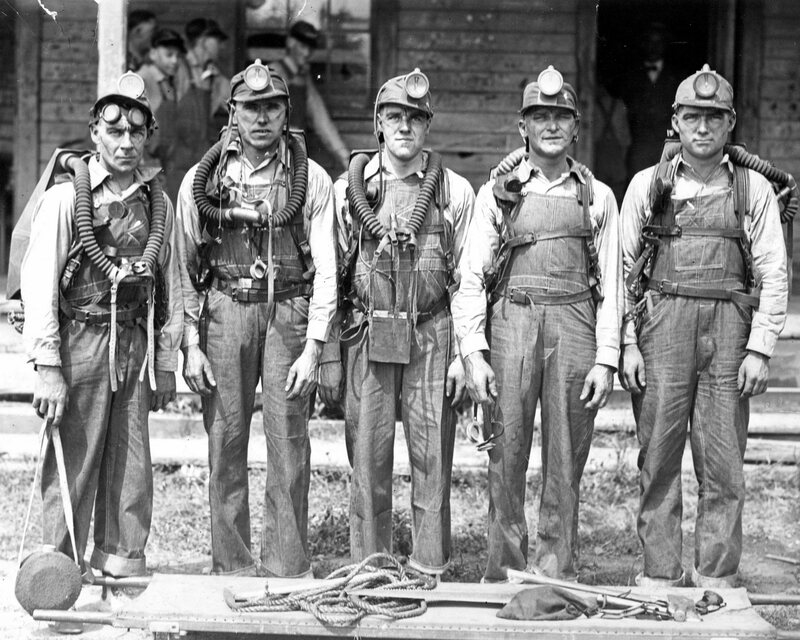 One of the Newcastle coal-mine rescue teams in 1924 included, from left, B.F. Snook (the captain), George Hasku, Walter Clark, Joe Ansberger and George Munson. 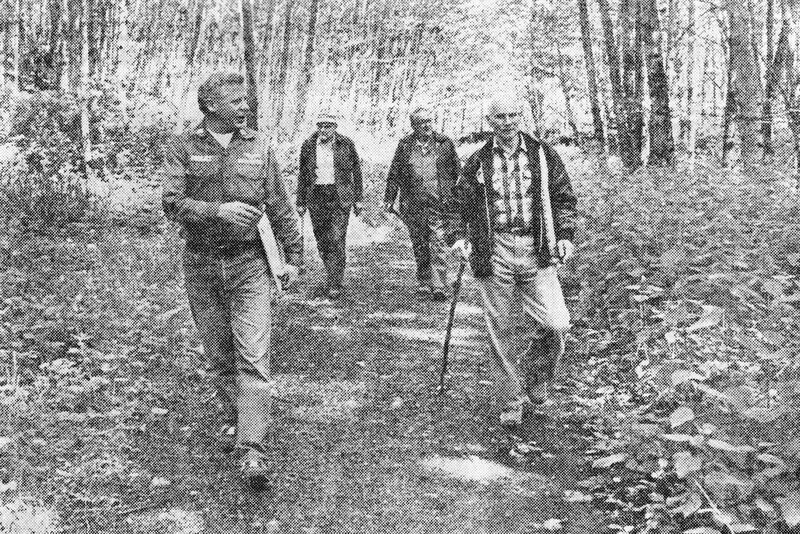 It was an economic boom that lasted for more than 50 years—one that helped put Seattle and the Eastside on the map. And it was a force that almost overnight turned this part of the Pacific Northwest into an ethnic melting pot. 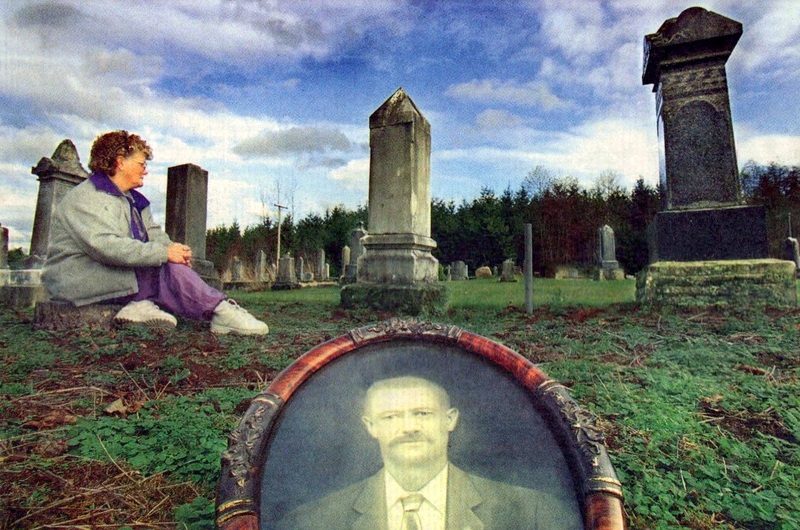 Cindy Calton looks at the headstone of Howell Meredith, killed when he went into the mine to look for his son. In foreground is a photograph of her great-grandfather Alfonso Anzelini, who called in sick on Dec. 9, 1899, and lived to work another day. On a dark, dank December Saturday in a coal mine town above the Carbon River, a steam whistle, shrill and loud, pierced the mist. Some 2,500 people lived in Carbonado. They knew the whistle meant something had happened down below. But they never felt a rumble. And the men and boys working in Carbon Hill Coal Corporation mine No. 7 never had a chance. Thirty-three died that day when the mine exploded in fire and fumes. Welsh and Finns, Belgians and French, husbands, fathers, sons and brothers. It was 100 years ago today . After coal mining disasters of the era, widows and their children often returned to their homeland, a place of familiarity and comfort. 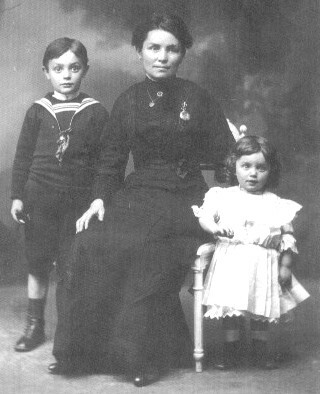 Mrs. Julius Persyn, along with her infant son Georges and brother-in-law Medard Persyn, returned to Europe on September 23, 1911, following the 1910 Lawson Mine disaster that claimed the life of her husband. She left her eldest son Henri with her brother’s family in Seattle. Henri Joulia, Jr., Louise Fabre Persyn, Georges Persyn, ca. 1912. The November 6, 1910, Lawson Mine explosion took the lives of 16 men, including Julius Persyn, 31, leaving behind wife Louise Fabre Joulia—who he had just married 10 months earlier on December 30, 1909—10-week-old son, Georges, born August 23, 1910, and stepson Henri Joulia, Jr.
Julius, along with his workmates Oscar and Ceazar Bael and Civili Maes—all of Belgium descent—and Fred Setti, an Italian, remain entombed in the 6th level of the mine more than 2,000 feet below the surface. The remaining 11 victims’ bodies were recovered. Louise Fabre came to the U.S. in 1903 and resided with brothers Jules and Georges Fabre in Seattle. Sister Irene remained in Europe. How many noodles do you think this rolling pin rolled out? This is just one of many artifacts on display at the museum. The vein of Black Diamond’s rich heritage runs as deep as the 12th level of Mine 11 and then some to any vein of black gold around these parts. And that black gold seam of heritage is as wide as the globe’s circle. The miners came from around the world to work and left their heritage in artifacts for us to study and enjoy. It is said that in King County at the turn of the century there was 80 different nationalities representing countries around the globe. In the 1930 population census we located 30 different nationalities in Black Diamond representing countries around the world.